Polling Places / Where Do I Vote? LEADS Board member needed to represent Eastern Laramie County. This is a 3 year term. The LEADS Board meets on the 3rd Wednesday of every month at 7:00 am at the Align Conference Center located at 1401 Airport Parkway. 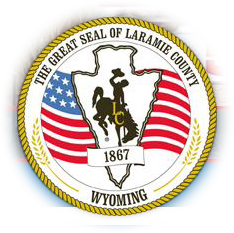 If you reside in Eastern Laramie County and are interested in this appointment, please fill out an Appointment Application located here: __Application link__________ and turn into the Commissioners' office no later than May 15, 2019. If you are interested in applying for any Boards, please fill out the attached application form and turn into the Commissioner's office at 310 W 19 St, Ste 300, Cheyenne WY 82001 at least 2 months prior to the term expiration dates. You must submit an application via email, mail, or at the County Commissioner's Office. Applications are accepted for current openings only! We do not accept applications on an ongoing basis. The Cheyenne Metropolitan Planning Organization (MPO) is accepting applications for their Citizens' Advisory Committee (CAC).